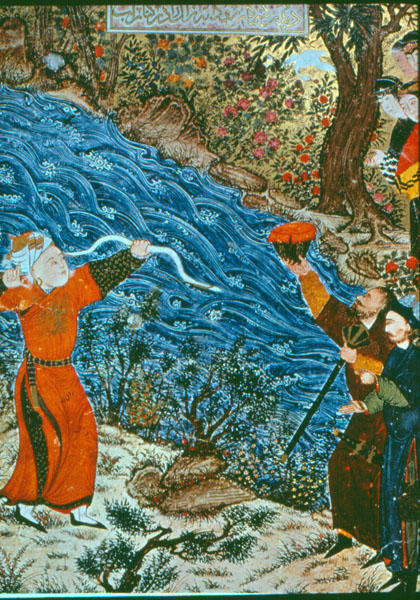 Zal shoots fowl, Shahnama, Jalarid Tabriz, Iran, 14th Century. Topkapi Sarai Museum, Hazine 2153. From the Sarai Albums, Tabriz, second half of 14th century. Hazine 2153, folio 65b, Topkapi Sarai Museum.